Geospatial modeling of ancient landscapes for predictive scientific research and hypothesis testing is an important emerging approach in contemporary archaeology. This doctoral dissertation is comprised of three published North American case studies that clearly demonstrate the value of predictive geospatial modeling to address explicit goals of contemporary archaeological research, conservation and cultural resource management. The case studies consist of a GIS-based prioritization analysis of natural and cultural resources conservation value in the Galisteo Basin of north-central New Mexico, an archaeological sensitivity analysis (site-discovery potential) for the state of Vermont, and a predictive model of agricultural potential during the Bonito Phase (ca. 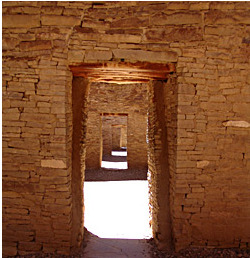 AD 850 to 1150) in Chaco Canyon, New Mexico. These studies contribute to the growing reliance on quantitative geospatial modeling in the social sciences.